PlayerUnknown’s Battlegrounds has unquestionably been one of the biggest games of the year, but because it’s still in Early Access, its nomination yesterday in The Game Awards for ‘game of the year’ has been low-key controversial. While everyone recognises the game’s achievements, some don’t feel that a game that isn’t technically finished yet should be eligible. Speaking to IGN, Greene shares the sentiment that PUBG should not win a GOTY award – but not, necessarily, because it’s in Early Access. Greene simply believes that better games came out this year. “While I would love to win it for the team, I think this year there have been far better games”, Greene told IGN, specifically referencing The Legend of Zelda: Breath of the Wild and Horizon: Zero Dawn. Both of these games are nominated for ‘Game of the Year’ alongside Greene’s own (the other two nominees are Persona 5 and Super Mario Odyssey). Battlegrounds, which is coming to Xbox One next month, could well be eligible again next year if the voters consider its eventual 1.0 release as its ‘proper’ release. A 1.0 test patch is currently available on test servers, but final release isn’t likely to happen before the end of the year. 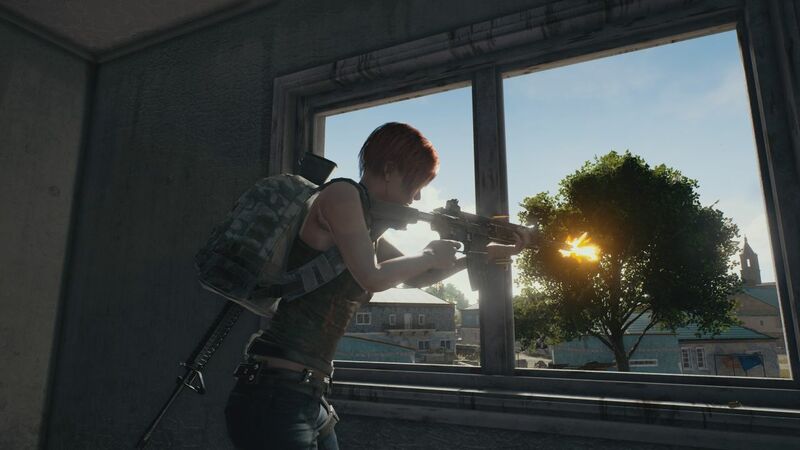 PUBG is also nominated for ‘Best Ongoing Game’ and ‘Best Multiplayer Game’, two categories where a win is, perhaps, more likely.